A consistent producer for the Buckhead Previews office of Coldwell Banker Residential Brokerage, Rob Scheinman can help you with all of your real estate needs. Buying or selling a home in the Atlanta Market can be a stress in anyone's life. Rob is able to help you through this and eliminate the problems most people run into, making the process a pleasure. That's what sets Rob apart from the competition. "I believe it is essential for me to maintain close communications with my clients throughout the transaction in order to eliminate confusion and delays. I also believe it is crucial for anyone to speak with me instantly. If I am not available when someone calls, they can expect a prompt return of all messages at all times." 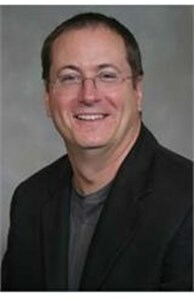 Rob has been involved in real estate transactions in Atlanta since 1989. First as a mortgage loan professional and then as a real estate agent since 1997. Rob has earned the respect of others in the real estate community. Coldwell Banker Residential Brokerage has provided Rob with the tools and support needed to offer his clients unparalled service.